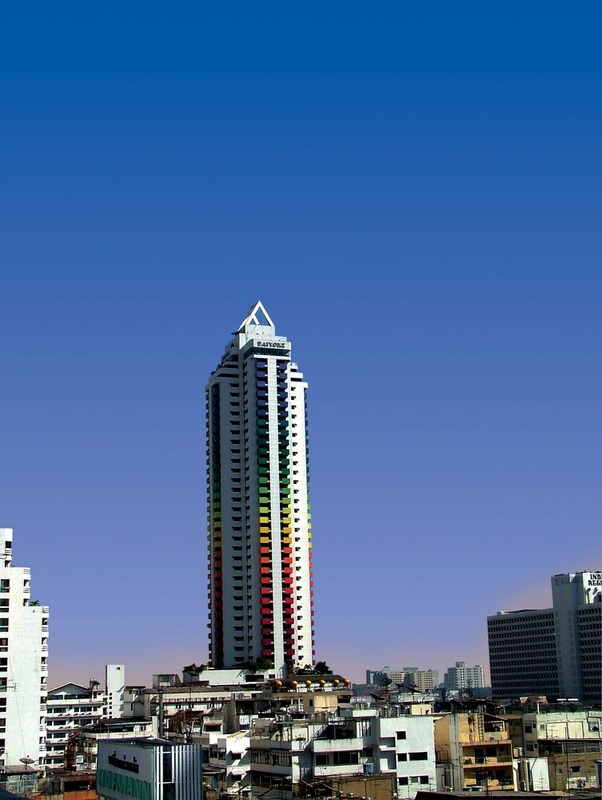 Located in Bangkok City Centre, this hotel is within a 15-minute walk of Pratunam Market, Platinum Fashion Mall, and Pantip Plaza. CentralWorld Shopping Complex and Erawan Shrine are also within 1 mi (2 km). Ratchaprarop Station is 5 minutes by foot and Bangkok Makkasan Station is 5 minutes. A restaurant, an outdoor pool, and a fitness center are available at this hotel. Free WiFi in public areas and free self parking are also provided. Other amenities include a coffee shop/café, a sauna, and a business center. All 236 rooms feature thoughtful touches like bathrobes and slippers, along with conveniences such as living rooms and refrigerators. Free WiFi and minibars are standard, as are TVs with cable channels. In addition to an outdoor pool, Baiyoke Suite Hotel provides a sauna and a fitness center. Dining options at the hotel include a restaurant and a coffee shop/café. Business amenities at this 3-star property consist of a business center, limo/town car service, and a meeting room. Wireless Internet access is complimentary. This business-friendly hotel also offers laundry facilities, dry cleaning/laundry services, and room service (during limited hours). Onsite self parking is complimentary. Baiyoke Suite Hotel has designated areas for smoking. Sky Lounge - This restaurant specializes in international cuisine and serves breakfast, lunch, and dinner. Open daily. Start your morning with a buffet breakfast, available each day from 6:30 AM to 9 AM for a surcharge. You can order a meal from room service during limited hours. Recreational amenities at the hotel include an outdoor pool, a sauna, and a fitness center. Rollaway/extra beds are available for THB 700 per night. Additional fees apply to children 4-12 years old for breakfast when sharing existing bedding. For more details, please contact the property using the information on the reservation confirmation received after booking. No pets and no service animals are allowed at this property. Parking height restrictions apply.